This is the final in a series of four Deetken “Reflections” exploring the intersections between macroeconomic policy and fragility in countries affected by violent conflict. The first post reflected on the key messages emerging from a review of over 100 sources and 10 expert interviews. The second explored the impact of natural resource revenue management on fragility in conflict-affected contexts, while the third considered the relationship between tax policy and fragility in conflict-affected contexts. This “Reflections” summarizes the evidence around the impact of monetary and exchange rate policy on fragility in conflict-affected contexts. We conclude with a number of evidence gaps and research questions that could form part of a future research agenda. This series builds on work that Deetken undertook on behalf of The World Bank and the United Nations. There is extensive empirical literature considering the relationship between monetary policy and key policy variables, namely inflation, output, and growth. Investigations in the context of conflict-affected countries are less common, but the last decade has seen the start of exploration in this area. Through a review of the literature and expert interviews, we explored this relationship with a view to identifying policy-relevant findings that could help guide monetary and exchange rate policies in countries affected by conflict. iii) the exchange rate regime. Here are four main findings emerging from our review of the evidence and our discussions with experts. Finding 1: While there is limited empirical research, there appears to be a general consensus in the literature that policies affecting inflation, money demand, and the exchange rate have important implications for fragility in conflict-affected contexts. Inflation, money demand, and the exchange rate are three important macroeconomic variables affected by monetary and exchange rate policy which can play a role in the relative fragility of conflict-affected contexts. Inflation is often higher post-conflict (e.g. due to the monetization of fiscal deficits generated through higher military spending) and reigning in elevated inflation, particularly in post-conflict environments, is a standard policy recommendation. The consequences of inflation in conflict-affected settings include capital flight, and the reduction in money demand which constrains seigniorage revenue for government. Some researchers have argued that declining inflation is associated with “building resilience” by pointing to the “marked decline in inflation” among countries that have built resilience from above 20% inflation in the early 1990s to the single digits more recently. Money demand often deteriorates in conflict-affected contexts, with implications for seigniorage, which tends to be a more important source of revenues for governments in low-income countries. In addition, excess exchange rate volatility or an exchange rate overvaluation in conflict-affected contexts can hurt the competitiveness of exports and therefore economic growth. The relative preponderance of supply-side shocks (e.g. terms of trade shocks whereby the price of export goods declines relative to the price of import goods or agriculture output shocks) is an important consideration for monetary policymakers in many conflict-affected countries because, unlike with demand-side shocks, policy responses involve a tension between output and price stability objectives. Furthermore, monetary and exchange rate policies for the reduction of fragility will have to be carefully coordinated with fiscal policy and with each other in a context-specific comprehensive policy approach. Finding 2: Monetary policy in conflict-affected contexts will often be subject to unique financial and institutional constraints that may increase the relative appeal of the exchange rate as the nominal anchor and increase tolerance for inflation, as long as the policy stance promotes stability and minimizes volatility. There is debate about the appropriate balance between the inflation and output goals of monetary policy, the appropriate measure of inflation (e.g. headline versus core inflation), and the ideal rate of inflation, particularly in contexts where there is a greater incidence of supply-side shocks. The literature is not definitive in terms of general conclusions for conflict-affected contexts. Decisions are likely to be context-specific. Given the frequency of supply-side shocks in LICs (including relevant conflict-affected countries), a possible monetary policy approach is to refrain from reacting to supply-side shocks (which may be transitory and based on imported sources) by targeting core inflation, which removes food and fuel prices from the consumer price basket. This is the approach taken by, for example, the Bank of Uganda. Another perspective is that targeting core inflation may not be appropriate in LICs where food prices represent a much higher share of the consumption basket (e.g. more than 50% in the Democratic Republic of Congo) and food price inflation is more persistent. There are three standard options for the nominal anchor: target the price-level (or inflation), target a money aggregate, or use the exchange rate as a nominal anchor. Researchers disagree as to the best approach for LICs, and there is only limited consideration of the choice for conflict-affected countries specifically. Ultimately, the right approach will partly depend on institutional capacity and history (e.g. Somalia did not have a functioning central bank during its 20-year civil war, whereas Gambia has a longer institutional history). For LICs, proponents of targeting money aggregates argue that inflation-targeting only delivers lower inflation volatility and lower output volatility than money-rules when demand shocks dominate. Since supply shocks tend to be more common in LICs (and many conflict-affected countries), and because inflation-targeting responses increase output volatility in those contexts, a money-target is preferable. On the other hand, proponents of inflation or price level targeting argue that money demand is unpredictable and more volatile in post-conflict contexts, making monetary policy reliant on money demand forecasts challenging. Exchange rate anchors have been found to be effective at reducing inflation, particularly where administrative and institutional capacity is low, as it often is in fragile contexts. Monetary policy based on monetary aggregates and policy rates has limited effectiveness in contexts where the financial sector is underdeveloped and conflict often further thins financial markets. The trade-off of adopting a fixed exchange rate as the nominal anchor is the potential loss of monetary policy independence in the context of relatively open capital markets. Finding 3: There may be a role for aid to promote monetization and help control inflation in conflict-affected contexts. Seigniorage is a relatively important source of revenue for many conflict-affected countries. There is some evidence that inflation rises during conflict and falls post-conflict but remains higher than the pre-conflict period, and that seigniorage follows a similar pattern. Aid may have a decisive role to play in “monetary reconstruction” analogous to the traditional role of aid in rebuilding physical infrastructure post-conflict. Rebuilding the “financial buffer” post-conflict could be an important crisis response role for aid. Aid can be used to ‘reconstruct’ the demand for money and hence seigniorage capacity through three mechanisms: (1) aid substitutes for seigniorage revenue, enabling the government to reduce reliance on inflation and thereby stimulate recovery of demand for money; (2) aid restores money demand indirectly through its effect on income growth; and (3) aid plays a role in supporting a modest portfolio shift in favour of domestic money demand. Monetary authorities may need to guard against aid-surges resulting in real-exchange rate appreciation to the detriment of export sectors. To the extent that aid is not used to buy imports, it may also be inflationary. The evidence suggests that positive post-conflict effects of aid on recovery would not be dependent on choice of the exchange rate regime. Finding 4: The evidence appears to suggest that either a fixed or managed exchange rate regime may be preferable to a floating regime in fragile contexts affected by conflict. Conflict-affected contexts are often characterized by a degradation of the country’s currency because of capital flight, inflation, financial system disruption, and movement into foreign currencies as more reliable stores of value. Undervaluation of the real exchange rate may be a powerful tool to bolster capital investment, attract flight capital back to the country, and encourage export-led growth. A consistent finding in the literature is of a robust correlation between the stability and level of the real exchange rate and growth, particularly for low income African economies. There is evidence that nominal exchange rate volatility is the primary source of real exchange rate volatility in these countries. There are three broad policy choices for the nominal exchange rate regime: fixed exchange rate (including dollarization, currency boards, monetary union); managed exchange rate (e.g. crawling peg, managed float); and floating exchange rate. There may be a case for the active management of the nominal exchange rate to achieve a real exchange rate undervaluation to support export development in conflict-affected contexts. As a result, fixed or managed exchange rate regimes may be preferred in contexts where capital mobility is limited. The case for this conclusion is strengthened by evidence that fixed regimes may bolster the positive impact of aid on long-run growth through its interaction with real exchange rate undervaluation. Free-floating exchange regimes may be particularly inappropriate in fragile contexts for several reasons: thin financial markets, potentially volatile financial flows, weak central banks. Meanwhile, fixed regimes (including Monetary Unions, e.g. West Africa Economic & Monetary Union, and the emerging West Africa Monetary Zone) do provide a measure of stability and support policy credibility, critical goals for fragile states. Guinea-Bissau was cited as an example where joining a monetary union did increase macroeconomic stability. One of the key messages that we explored in Part 1 of this Reflections series on macroeconomic policies in conflict-affected contexts related to the need for more context-specific evidence around how macroeconomic policy and fragility intersect in conflict-affected settings. Our review of the evidence around monetary and exchange rate policy and fragility, together with our conversations with experts, revealed the following areas that might benefit from further research or evidence gathering. The research to date has focused on low-income countries, particularly in sub-Saharan Africa, in part due to the concentration of civil wars in that region. Future work could expand the focus to include more emphasis on Asia, and the MENA. In addition, more attention could be paid to middle-income fragile and conflict-affected contexts. Where there is evidence from conflict-affected contexts specifically, it is usually focused on post-civil war settings. Future approaches could consider ways to gather evidence from a diverse range of fragile contexts and consider how to broaden perspectives on conflict prevention to include consideration of initial lapse into violent conflict. A narrower focus on conflict-affected contexts is required to develop a better evidence base to inform decisions regarding the range of appropriate inflation rates, and choice of nominal anchor for the prevention of conflict. Money demand in conflict-affected contexts has not been studied extensively. The key findings related to money demand are based largely on one study, although others have more recently highlighted the importance of this variable and the importance of the restoration of money demand in post-conflict settings. Further investigation of the interactions between real exchange rate undervaluation, export growth, and the exchange rate regime are needed, particularly in fragile contexts. This is the final in a series of “Reflections” exploring the intersections between macroeconomic policy and fragility in countries affected by violent conflict. Click to read the overview of the series “Macroeconomic Policies in Conflict-Affected Contexts”, the second in the series, “Natural Resource Revenue Management in Conflict-Affected Contexts,” and the third in the series, “Tax Policy and Fragility in Conflict-Affected Contexts”. This is the third in a series of four Deetken “Reflections” exploring the intersections between macroeconomic policy and fragility in countries affected by violent conflict. The first post in this “Reflections” series provided an overview of the key messages emerging from a review of over 100 sources and 10 expert interviews. The second explored the impact of natural resource revenue management on fragility in conflict-affected contexts. This post summarizes the evidence around how macroeconomic policies related to tax policy impact fragility in conflict-affected countries. We conclude with a number of evidence gaps that could form part of a future research agenda. This series builds on work that Deetken undertook on behalf of The World Bank and the United Nations. There is a significant amount of literature on the linkages between taxation and development, and taxation and growth, and there is a growing body of work on taxation, governance, and state-building. However, only a limited number of resources focus explicitly on the relationship between taxation and fragility in conflict-affected contexts. Through a review of the literature and expert interviews, we explored this relationship with a view to identifying policy-relevant findings that could help guide tax policy, including tax reform efforts, in countries affected by conflict. Here are six main findings emerging from our review of the evidence and our discussions with experts. Finding 1: Well-designed tax policy can contribute to state-building, improved governance, peacebuilding, and political and economic stability, but conflict-affected contexts face a unique set of challenges with respect to tax reform. Conflict-affected contexts face a unique set of challenges with respect to tax reform. These can include: a real or perceived lack of legitimacy; a lack of trust and confidence in the state and/or other groups in society; a lack of political consensus and/or historical precedent around who should be taxed and how; weak technical, technological and statistical capacities; large informal and agricultural sectors; a contracted tax base; relatively low revenue; and a poor record of redistribution through the tax system. Only a limited body of literature addresses questions related to the impact of tax policy and tax reform on fragility. When these questions are addressed, they tend to be considered through one of two lenses: taxation and inequality, and taxation and democratization. Much of the literature that considers the linkages between equality and tax reform focuses on progressive taxes (as opposed to regressive or proportional taxes). This applies to both direct (e.g. income, profits, capital gain and property taxes) and indirect (e.g. raising rates on luxury goods and exempting basic goods that are generally consumed by the poor) taxes. However, there is no consensus on the relationship between progressive taxation, growth and inequality. Several sources stress that the impact of taxation on growth and/or equality will depend on how tax revenue is spent, that is, whether it is spent on promoting growth and/or on efforts to reduce inequality. Yet, it is rare for tax and spending to be considered in the same study. This may be primarily due to a lack of data, including revenue data, and to the fact that it is difficult to determine the distribution of tax burdens and gains from redistribution. Some other sources suggest that progressive taxes can have a negative impact on growth, which can harm the poor. Others argue that the impact of taxation is largely dependent on the extent to which the tax regime permits legal avoidance and illegal evasion. Some work argues that progressive taxes can undermine the “elite bargain” and therefore risk compromising the conditions that made an end to conflict possible in the first place. These discrepancies point to the need to understand and work within the political economy of tax reform, particularly at the nexus of taxation and conflict. In this regard, it may be useful to develop a better understanding of the dynamics behind “tax bargaining” (i.e. the connections between taxation, responsiveness and accountability) in specific conflict-affected contexts. Finding 3: While there are options for taxing the informal sector, formalization can bring additional benefits that may have an impact on reducing fragility in conflict-affected contexts. Taxation of the informal sector (which we define as firms and individuals who are not fully registered and regulated and, for this reason, fall outside the standard tax net) is difficult and may not be cost effective. 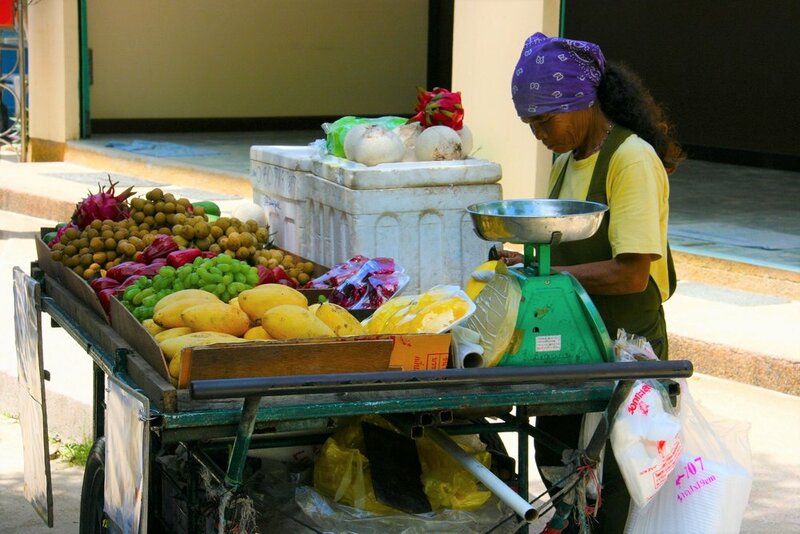 The positive impacts of taxation of the informal sector are most effectively achieved through formalization, i.e. bringing firms and individuals into the tax net. While this is unlikely to generate significant revenue, the benefits of formalization can include: greater business growth, the establishment of a better business environment, building a culture of tax compliance and strengthening the fiscal social contract, all of which can contribute to reducing fragility. However, a firm or individual’s decision about whether or not to formalize depends on a calculation of costs (e.g. higher taxes) versus benefits (e.g. business growth opportunities). Finding 4: Insights into the informal taxes individuals and households may face may reveal and ultimately help to mitigate predatory behaviour on the part of state actors, thereby improving state-society relations. The impact of informal taxes, including tax or tax-like payments collected outside of statutory legal frameworks, on individuals and households has not received sufficient policy attention. This is an “analytical blind spot.” Informal taxes can be especially prevalent in conflict-affected contexts and can expose people, particularly vulnerable groups, to violence. Finding 5: Integrating local taxation into the consideration of the broader tax bundle to which individuals and households are subjected may generate important insights into the tax reforms necessary to reduce fragility in conflict-affected contexts. Until recently, limited policy and research attention has been paid to local taxation (i.e. taxes assessed and levied by local authorities with revenues spent locally). Recent work suggests that local taxation can help improve state-society relations by increasing ties between public authorities and the population, including through tax bargaining, and enhancing the legitimacy of the state. However, there is insufficient evidence to back up the theoretical literature on the impact of local taxation on revenue generation, statebuilding, governance, and reducing fragility. At least one group of researchers has considered the impact of local taxation on individuals and households and argued that, to understand the impact of local taxes on fragility, there is a need to better understand the broader tax package to which people are subjected. A focus on the realities of how people are actually taxed may generate important insights into the tax reforms necessary to reduce fragility in conflict-affected situations. Finding 6: The impact that aid has on the domestic tax effort in conflict-affected contexts will depend largely on the existence of non-tax revenue sources (e.g. natural resources) as well as on the broader political and economic dynamics within a recipient country. making visible improvements in the delivery of public goods, thereby motivating the population to pay taxes. The impact that aid has on the domestic tax effort will depend largely on the existence of non-tax revenue sources (e.g. natural resources) as well as on the broader political and economic dynamics within recipient countries, including the country’s tax culture, how tax bargaining works, and the influence of external actors, among other contextual considerations. One of the key messages that we explored in Part 1 of this Reflections series on macroeconomic policies in conflict-affected contexts related to the need for more context-specific evidence exploring how macroeconomic policy and fragility intersect in conflict-affected settings. Our review of the evidence around tax policy and fragility, together with our conversations with experts, revealed the following areas that might benefit from further research or evidence gathering. There is a paucity of comparative, policy-relevant research on the political economy of tax policy in conflict-affected contexts. This includes research that focuses on the impact of taxation on conflict dynamics and the particular challenges of tax collection in post-conflict contexts. Beyond general principles (e.g. broaden income tax and introduce a VAT), there also appears to be a dearth of research on the different types of taxes or options related to the composition of the tax regime that have proven to be the most effective in both generating revenue and reducing fragility in conflict-affected contexts. Empirical research exploring the dynamics behind “tax bargaining” (i.e. the connections between this taxation, responsiveness and accountability) has been limited and fragmented. A larger study of conflict-affected contexts might facilitate a closer look at the legitimacy dimensions of taxation (not only its impact on revenue generation), and allow for a deeper consideration of how taxation fits within the “fiscal social contract,” how it impacts perceptions of state legitimacy and the population’s trust and confidence in the state, and the influence of external actors, among other considerations. This type of research may require a more ethnographic, rather than a strictly econometric, approach in order to understand the “social impact” of tax. It might be a useful starting point for considering how and when tax reform might be most effective, particularly in conflict-affected contexts. There is a dearth of research exploring informal and local taxation regimes in conflict-affected situations, particularly their impacts on reducing or contributing to fragility in these contexts. Micro-unit analysis may yield useful insights into the broader tax regime faced by individuals and households. A focus on the realities of how people are taxed may also help policy-makers identify areas or sectors where tax reform might be most likely to reduce fragility in conflict-affected situations. It might be useful to expand work related to the impact of aid flows on the domestic tax effort to consider the relationship between aid and taxation under the unique conditions facing countries affected by conflict. Specifically, it may be helpful to develop case study evidence around the economic, social, political and historical circumstances under which aid tends to discourage (or encourage) the tax effort in conflict-affected contexts. This research would have to be carefully designed and would have to account for the severity of conflict and the capacities of the central government, including its ability to extend its authority beyond the capital, among other considerations. Stay tuned for the fourth and final “Reflections” in this series, which will consider the impact of monetary and exchange rate policy on fragility in conflict-affected contexts. Click to read the overview of the series “Macroeconomic Policies in Conflict-Affected Contexts”, the second in the series, “Natural Resource Revenue Management in Conflict-Affected Contexts,” and the final in the series, “Monetary and Exchange Rate Policy in Conflict-Affected Contexts”. This is the second in a series of four Deetken “Reflections” exploring the intersections between macroeconomic policy and fragility in countries affected by violent conflict. The first post in this “Reflections” series provided an overview of the key messages emerging from a review of over 100 sources and 10 expert interviews. In this post, we summarize what the evidence is telling us about how macroeconomic policies related to the management of natural resource revenues impact fragility in conflict-affected countries. We conclude with a number of evidence gaps that could form part of a future research agenda. This series builds on work that Deetken undertook on behalf of The World Bank and the United Nations. Natural resource revenue is enormously important for many fragile and conflict-affected countries, in some cases representing over 90% of the value of exports. A significant body of literature considers the links between the development of natural resources and violent conflict. At the same time, a great deal of work focuses on how natural resource revenues can mitigate or prevent violence, support stability and help build conditions conducive to sustainable peace. This begs the question: under what conditions can natural resource revenues have peace-related benefits? 1) Revenue-sharing regimes – These regimes focus on allocating or distributing the revenues from natural resources to subnational entities. An estimated 35 countries have a revenue-sharing regime, transferring $100 billion to subnational entities and certain groups. 2) Natural resource funds – These are extra-budgetary funds that provide a mechanism for putting aside or investing natural resource revenues in foreign or other assets. This converts natural assets into financial ones that can generate a sustainable income stream beyond the depletion of a natural resource. As of July 2014, they had been used in more than 40 countries and held approximately $4 trillion in assets. 3) Economic diversification – This refers to efforts to increase and diversify a country’s economic outputs to reduce dependency on natural resources revenues. Here are four main findings emerging from our review of the evidence and our discussion with experts around the impact of natural resource revenue management on fragility. Finding 1: The presence of natural resources in conflict-affected countries can be a considerable asset, provided natural resource revenue is well managed. vi) lead to volatility in commodity prices, potentially causing political and social instability. Provisions over revenue-sharing can be instrumental in persuading warring parties to negotiate and implement a peace agreement. Furthermore, the revenue generated from natural resources can lead to growth and help fund initiatives aimed at building and sustaining peace (e.g. alleviating poverty, creating jobs, rebuilding infrastructure, revitalizing the economy, etc.). However, the peace-related benefits of natural resource revenues can only be achieved if these revenues are well-managed. There is no single combination of policies or tools related to resource management that will work in every case. However, there is a general consensus around a number of guiding principles. These include the need for: 1) commitments to anti-corruption and the establishment of mechanisms to combat corruption around revenue management; 2) commitments to transparency and the establishment of mechanisms to ensure transparency of revenue management; 3) commitments and capacities to deliver on good governance principles to guide revenue management; and 4) political will on the part of all key stakeholders to deliver on commitments and to adhere to agreements around revenue management. Finding 2: The effectiveness of natural resource revenue-sharing regimes in helping to address conflict mechanisms is context-specific and depends on a variety of factors. Revenue-sharing regimes can play an important role in addressing some of the potential mechanisms for conflict by: 1) addressing local claims over resource ownership or demands for benefits, sometimes as a means of quelling secessionist inclinations; 2) compensating for the environmental, social or other costs associated with extraction; and 3) mitigating or preventing resource-related conflict by addressing demands for benefits or compensation that, if unmet, might manifest themselves violently. However, these regimes can also trigger or exacerbate conflict. This may be particularly true in conflict-affected contexts where revenue-sharing agreements negotiated as part of a peace deal may not withstand the test of reality and may compel belligerents to resume fighting or where revenue-sharing is perceived to reward violence. In addition, if distributed along sectarian lines, resource revenues may exacerbate tensions between groups. The effectiveness of revenue-sharing regimes in addressing conflict mechanisms tends to be context-specific and depends on a variety of factors, including the causes of conflict; the type of resource and its role in the conflict; the strength of domestic institutions and the regulatory/legal environment in which they operate; the internal and external power relations, interests and incentives at play in a particular context; the degree of political commitment, including to anti-corruption and transparency; and regional dynamics and international markets, among other factors. Finding 3: Establishing a natural resource fund tends to be the “go-to” revenue management option for policy-makers, despite evidence suggesting that these funds are generally ineffective or even become sources of corruption and patronage. In theory, natural resource funds can help address some of the macroeconomic challenges and potential conflict mechanisms associated with natural resource wealth, including price volatility, resource depletion, and wealth inequality. However, the establishment of these funds needs to be carefully considered, particularly in conflict-affected contexts. A large comparative cross-country study on natural resource funds concluded that most of these funds are either ineffective or have become sources of corruption and patronage. Yet, establishing a natural resource fund tends to be the “go-to” revenue management option for both national and international policy-makers. Finding 4: Economic diversification is a commonly referenced countermeasure to some of the negative macroeconomic consequences associated with resource wealth. However, examples of successful diversification are rare. The evidence suggests that economic diversification success stories are not particularly common in part because diversification is difficult to achieve, the process is susceptible to corruption, and control over natural resource revenue can be highly politicized. The literature reveals three main policy responses to the need for economic diversification in resource-rich, conflict-affected contexts. These include: i) a push for greater transparency of how resource revenue is spent to ensure that agreed upon portions of this revenue are invested in developing other industries; ii) establishing a natural resource fund that would allow natural resource revenue to be used to build up other sectors of the economy; and 3) promoting “local content” (i.e. promoting local employment, technical training and procurement for the resource sector with the objective of creating a spill-over effect into other industries). One of the key messages that we explored in Part 1 of this Reflections series on macroeconomic policies in conflict-affected contexts related to the need for more context-specific evidence exploring how macroeconomic policy and fragility intersect in conflict-affected settings. Our review of the evidence around natural resource revenue management and fragility, together with our conversations with experts, revealed the following areas that might benefit from further research or evidence gathering. 1) There is limited research on how and why existing revenue-sharing regimes were negotiated or developed in the first place (e.g. what were the motivations/incentives for introducing a revenue management regime in the first place? Conflict prevention? Peacebuilding? Economic growth? A critical bargaining chip in the peace process?). 2) There is a paucity of systematic or comparative analysis exploring whether the objectives of these regimes (i.e. the reasons why they were first established) have been achieved. 3) There is limited research related to exploring if different revenue-sharing regimes are more (or less) effective in managing different types of resources. 4) There is a dearth of comparative, policy-relevant analysis around natural resource funds and how they have (or have not) been effective mechanisms for managing natural resource revenues in conflict-affected contexts. Specifically, there is a lack of systematic evidence exploring if/how natural resource funds have helped address conflict mechanisms (e.g. smooth out the effects of price volatility, save for the post-resource depletion period, address wealth inequality through development projects, mitigate Dutch disease or be channelled into economic diversification investments) or if they are more likely to facilitate corruption and patronage. There is a considerable body of literature focused on economic reconstruction, including in conflict-affected contexts. However, there appears to be a paucity of research considering economic diversification through a natural resources lens; that is, there is a lack of research looking at how resource-rich, conflict-affected countries or regions have (successfully or otherwise) diversified their economies and how natural resource revenues themselves have been used (successfully or otherwise) to support economic diversification. Click to read the overview of the series “Macroeconomic Policies in Conflict-Affected Contexts”,the third in the series, “Tax Policy and Fragility in Conflict-Affected Contexts” and the final in the series, “Monetary and Exchange Rate Policy in Conflict-Affected Contexts”. Dutch disease occurs when a natural resource discovery is not matched with adequate absorption capacity, resulting in inflation or exchange rate appreciation. This can increase the costs of exported goods, harming exporters. It can also channel skilled workers and other resources away from other sectors, potentially weakening these sectors and creating a dependence on natural resources. These are extra-budgetary funds that can help address some of the macroeconomic challenges associated with natural resource wealth, including price volatility (one of the conflict mechanisms identified above), resource depletion or wealth inequality. These funds essentially provide a mechanism for putting aside or investing natural resource revenues in foreign or other assets, thereby converting natural assets into financial assets that can generate a sustainable income stream beyond the depletion of the physical asset. As of July 2014, they have been used in more than 40 countries and held approximately $4 trillion in assets. According to the United Nations Framework Convention on Climate Change, “[e]conomic diversification is generally taken as the process in which a growing range of economic outputs is produced. It can also refer to the diversification of markets for exports or the diversification of income sources away from domestic economic activities (i.e. income from overseas investment).” Click here for more information. This Deetken “Reflections” is one of a series of four posts exploring the intersections between macroeconomic policy and fragility in countries affected by violent conflict. This series builds on work that Deetken undertook on behalf of The World Bank and the United Nations and that involved a review of over 100 sources and interviews with 10 prominent experts. In this post, we summarize the key messages emerging from the evidence we reviewed. In our subsequent posts, we provide a deeper dive into the main findings from our work on our core themes: natural resource revenue management; tax policy; and monetary and exchange rate policy. If you were to ask most people with an interest in politics or economics if there is a relationship between how a country’s economy is managed and how that country recovers from or avoids violent conflict, the answer would most likely be “yes”. But if you dig a bit deeper and ask how this relationship works in practice or what evidence there is to support it, you may get a less confident response. As a team of economists, political scientists and data scientists, The Deetken Group was particularly interested in exploring the relationship between macroeconomic policies and fragility in countries affected by violent conflict. We wanted to know what the literature and the experts were saying about how to “do macroeconomics differently” to reduce or mitigate fragility in conflict-affected contexts. The impact of monetary and exchange rate policy on fragility in conflict-affected contexts. Message 1: The evidence suggests a general set of macroeconomic policies that might help reduce fragility in conflict-affected contexts. Conflict-affected situations are often characterized by challenging security, political and economic environments. For example, capital flight and inflation may emaciate already thin financial markets. Volatile financial flows and diminishing money demand may put pressure on exchange rates. Supply side shocks in economies dominated by agriculture or natural resource exports may confront policy- makers with trade-offs between inflation and output objectives. Governments in conflict-affected contexts may face large informal and agricultural sectors, a contracted tax base and relatively low revenue. Furthermore, infrastructure and public services may be limited and institutional, administrative, technological and statistical capacities may be weak. In addition, depending on the nature of the conflict, there may be a lack of trust and confidence in the state and/or other groups in society and a lack of political consensus around post-conflict governance priorities. While every country faces a unique and nuanced situation, these common general characteristics may form the basis for an evidence-based set of macroeconomic policy ideas that might contribute to broader efforts to prevent violent conflict. Let’s take a look, for example, at natural resource revenue management. If well-managed, natural resource revenues can have real peace-related benefits. While there is no single combination of policies or tools related to resource management that will work in every case, there is a general consensus around a number of guiding principles. These include the need for: 1) commitments to anti-corruption and the establishment of mechanisms to combat corruption around revenue management; 2) commitments to transparency and the establishment of mechanisms to ensure transparency of revenue management; 3) commitments and capacities to deliver on good governance principles to guide revenue management; and 4) political will on the part of all key stakeholders to deliver on commitments and to adhere to agreements around revenue management. 1) Well-designed tax policy can contribute to state-building, improved governance, peacebuilding, and political and economic stability. It can help generate adequate, appropriate, sustainable and predictable revenue; enhance the legitimacy of the state and signal the population’s “buy in” with respect to the government’s agenda; improve state-society relations; build capacities; extend state authority; and address horizontal inequalities. 2) Reductions in government expenditure (e.g. fuel subsidy reform) should be designed and timed to mitigate and offset domestic impacts. 3) Fixed and managed exchange rate regimes appear to be preferable to free floating currencies since they help to avoid excessive exchange volatility and may be used to promote exports. 4) Monetary policy might tolerate a higher rate of inflation while still focusing on avoiding and combating hyper-inflationary episodes. Message 2: Despite some general commonalities, macroeconomic policies need to be tailored to the specificities of each context if they are to reduce fragility or, at minimum, avoid exacerbating it. While the broad common characteristics of conflict-affected situations might lead to a general set of policy ideas, their application would require careful consideration of the realities of each context. For example, the effectiveness of natural resource revenue-sharing regimes in helping to address conflict mechanisms depends on a variety of factors, including the causes of conflict; the type of resource and its role in the conflict; the strength of domestic institutions and the regulatory/legal environment in which they operate; the internal and external power relations, interests and incentives at play in a particular context; the degree of political commitment, including to anti-corruption and transparency; and regional dynamics and international markets, among other factors. As another example, the type of tax regime best suited to a fragile context depends on conflict dynamics and divisions within society, a country’s tax culture and history, how tax bargaining works, the influence of external actors, the existence of non-tax revenue sources, and the impact of aid on the domestic tax effort, among many other contextual factors. Message 3: There is a need for more context-specific evidence exploring how macroeconomic policy and fragility intersect in conflict-affected settings. The intersections between macroeconomic policy, fragility and conflict is a relatively new and under-researched focus in the literature. A possible reason for the relative lack of research in conflict-affected contexts is the diverse typology of fragility and conflict. It is challenging to test the relationship between macroeconomic variables and political contexts generally when those contexts differ so markedly. There is a general sense that cross-country statistical analysis may not be the best approach to study macroeconomic policy in fragile contexts. Case studies, qualitative analysis, including – in some cases - micro-analysis of individuals and households, and within-country comparisons that consider policy changes or macroeconomic shocks are important complementary approaches to support the ongoing development of an evidence base around the relationships between macroeconomics and fragility in conflict-affected contexts. Click to read the second in the series, “Natural Resource Revenue Management in Conflict-Affected Contexts,” the third in the series, “Tax Policy and Fragility in Conflict-Affected Contexts” and the final in the series, “Monetary and Exchange Rate Policy in Conflict-Affected Contexts”.